With the imminent arrival of Quotes please continue the progress around improving the whole Opp Product/Product/Price Books/Asset feature set. Similar to http://ideas.salesforce.com/article/show/10095991/Create_quote__Convert_to_order__Create_assets_when_converted. Please merge at your discretion. My Idea here is a Convert to Sales Order button on the Quote once the Quote has been accepted. This way through the use of Status one can track that Quote to "SO Sent", "PO Received", "Invoiced" and "Payment Received", or something similar. The need is for all the relevant Quote information, including Line items, to Convert over to the Sales Order. The Generate Orders Summer '14 Pilot is now open! 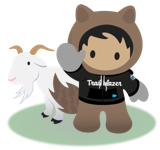 Contact your salesforce rep to be nominated for this pilot. just wondering if any updates are available on timing for release of the Generate Orders feature. has the Generate Orders update been released? Check out the new Generate Orders (Pilot) coming in Summer '14 (Safe Harbor). This is a package of flow templates and custom buttons that will allow you to automatically generate Orders with Order Products (and optionally Contracts) from either an Opportunity with Opportunity Products or a Quote with Quote Lines. You can install and modify the flow templates as needed to add your own field mappings or custom logic or even read from or create custom objects in your flow. Okay, I understand your idea. It can be done. So what is your idea, exactly? Sorry not the same. The new Quoting feature works in conjuncture with Opportunities. One would create a Quote higher up the Opportunity Stage. We want to then convert the created Quote into a Sales Order. A sales order sounds like an Opportunity. So copying the relevant Quote data to the Opp and then including those stages in a dependent picklist on the Opportunity object will handle this.